Weekend Getaway Inspired by Vera Wang Sunnies! I will be in Miami next month and what better way to prepare than to find some new sunnies for the tropical weather! 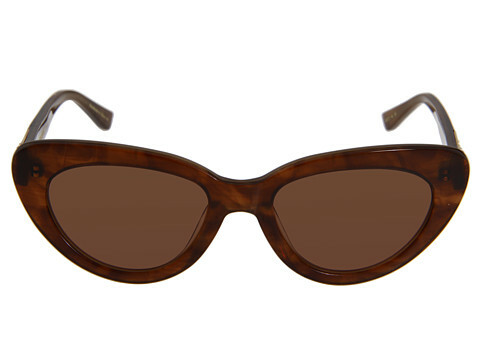 So of course I went looking for some cool cat eye sunglasses when I stumbled across some cool Vera Wang tortuous shell sunnies on Glasses.com. This website is user-friendly and offers you a variety of great sunglasses and prescription glasses at amazing deals. I was so happy when I found these Vera Wang sunglasses because it was exactly what I was looking for as they are perfect for every day wear. They come in black as well but I love tortuous shell so I went with those. They are absolutely GORG and so decently priced! I absolutely love them and was inspired to build an outfit around them on Polyvore to get me pumped for my trip! I am really digging prints and tribal jewelry for this summer so this outfit is very exotic and something I plan to wear while I am out there in Miami. I know you dolls love cat eye glasses and always ask me where I get mine from, nows your chance to get your own via Glasses.com. Now tell me, what do you think about my polyvore look inspired by the Vera Wang Sarda sunnies? Here is a rundown of everything in this collage and where you can find these pieces!